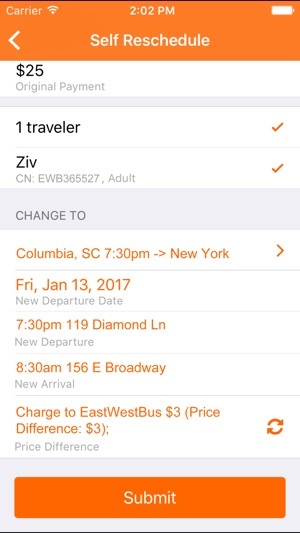 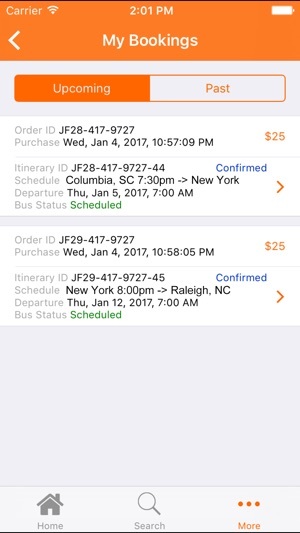 The East West Bus app provides on-the-go bus ticket booking services to bus travelers between New York and some of the most popular cities in North Carolina, South Carolina, such as Columbia, Durham, Florence, Raleigh and Lumberton. 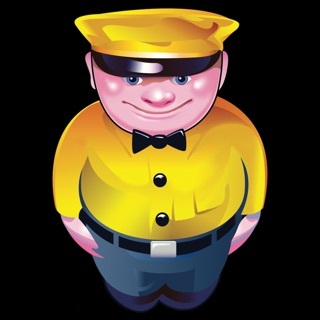 Book East West bus tickets anytime and anywhere with just a few clicks! 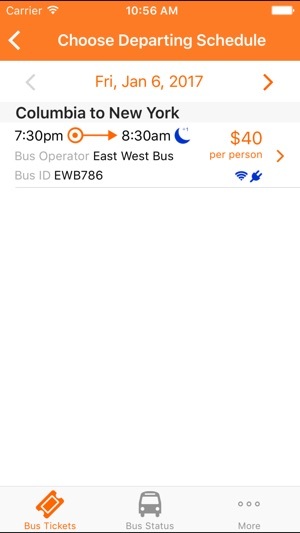 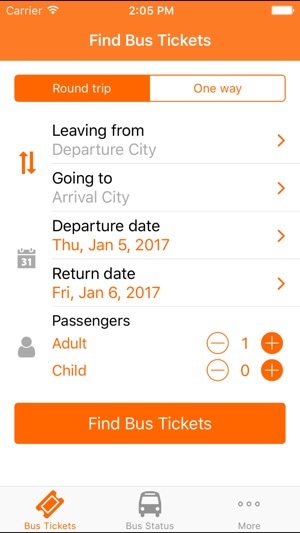 You can find bus schedules, prices, pick-up/drop-off locations, amenities such as free power outlets, free WiFi, air conditioning, onboard restrooms, and the convenience of quick check-in process with the East West Bus app.